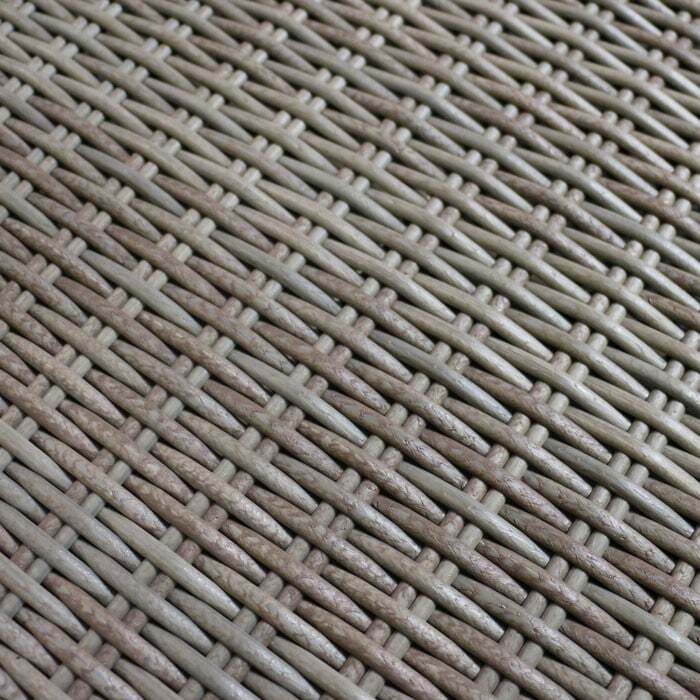 Transform your space by implementing the gorgeous textured wicker of the Austin Wicker Outdoor Coffee Table in Kubu. Fusing contemporary materials with traditional designs, the Austin Collection channels chunky with its superb array of sectional and fixed pieces. This Austin Wicker Outdoor Coffee Table in Kubu complements both the Austin Sectional Collection and the Austin Sofa Collection. This large scale outdoor coffee table is substantial enough to be conveniently used as a dining surface for tapas style meals in your great outdoors. A staple of the Austin Deep Seating Collection, the Austin Wicker Outdoor Coffee Table in Kubu is a generous 140 by 80 centimeters large, and a perfect addition to its family or in cahoots with a teak setting. 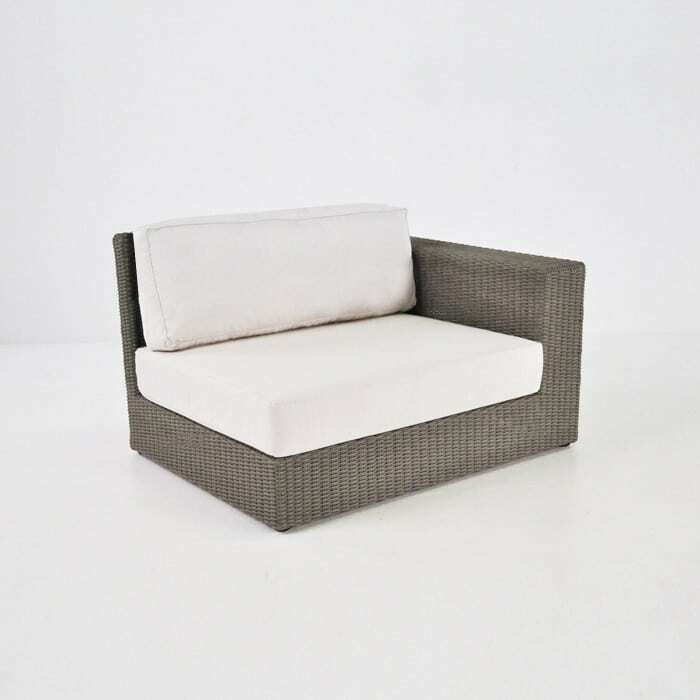 The Austin Wicker Outdoor Coffee Table in Kubu is made out of a unique blend of Viro® wicker, strengthened, through dyed and UV resistant so you know you are purchasing an item that can be left outdoors without worry! 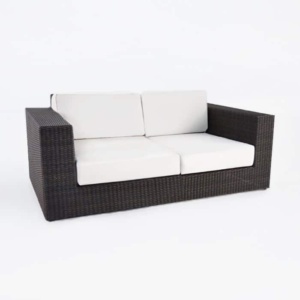 All of the pieces in the Austin Collection are built on a powder coated aluminium frame, protecting it from the elements and keeping the shape of this attractive wicker material. 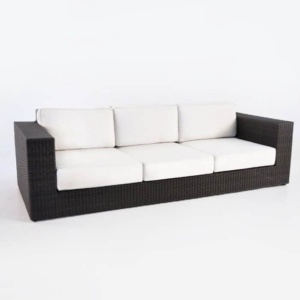 Design Warehouse also carries other brands of All Weather Wicker, and Grade A Teak, Raw Concrete, Mesh fabrics, Stainless Steel, Reclaimed Teak and Resin. 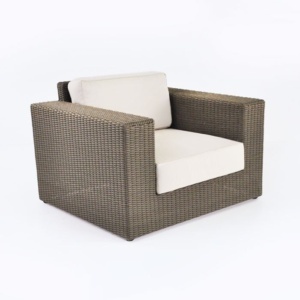 So whether you’re after a beautiful sun lounger, relaxing chair, accent table, umbrella, or deep seating; chances are we have an option that will suit you! We are proud to offer our 700 plus products to you at wholesale prices. We take out the middle man and offer quotes, options for delivery and ideas to help you create an incredible outdoor living space that is unique to you! 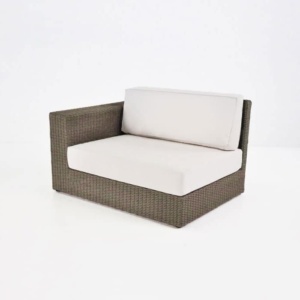 Our Austin Wicker Outdoor Coffee Table in Kubu completes the look in an ‘L’ shaped sectional. Purchase a Corner, and add on Centre pieces. Either leave the look open or close each end with a Right or Left Arm Chair or even another Corner piece! Place your Austin Wicker Outdoor Coffee Table in Kubu in the middle, dressed with a large concrete Hurricane Lamp and finish the ‘look’ with your friends and family, smiling, enjoying their surroundings. Perhaps you’ve purchase a few of our low slung Stainless Steel and Batyline® mesh chairs in Taupe? 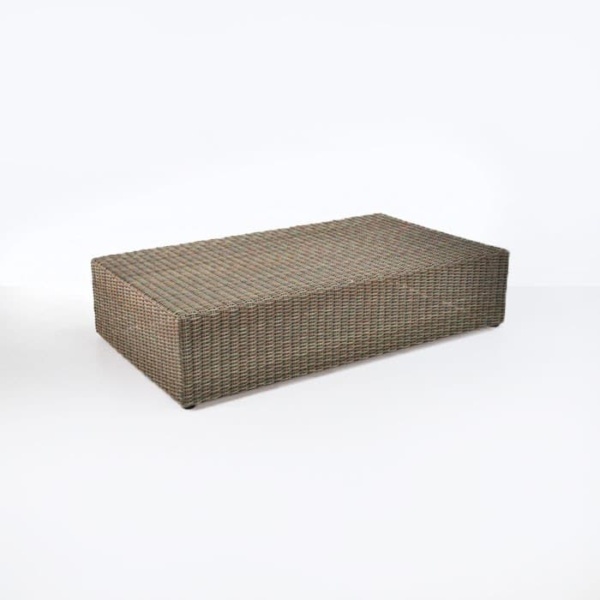 Scatter them around the Austin Wicker Outdoor Coffee Table in Kubu and enjoy the marvellous mix of materials. Maybe you’re in desperate need of a table to go amongst your teak loveseat and two club chairs. 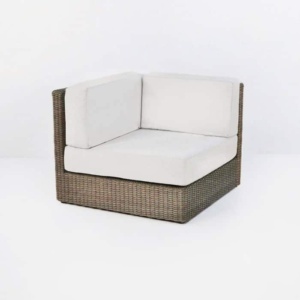 Dress them with taupe cushions and place the Austin Wicker Outdoor Coffee Table in Kubu in between your items with a couple of matching wicker accent tables tucked into each corner for a marvellous medley of materials. 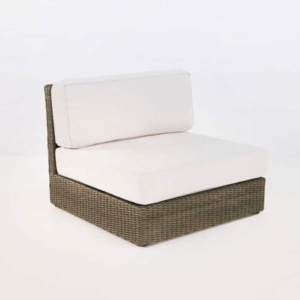 The Austin Wicker Outdoor Coffee Table in Kubu is a simple and chic must have for your home. Choose from warm Kubu Gray or rich Antique Java depending on what colours you are working with. The Austin Wicker Outdoor Coffee Table in Kubu is one of our many options of luxurious marine quality furniture for the great outdoors.